In brief: ClicData will be more than adequate for many people’s needs, particularly if they simply want to create dashboards of varying degrees of complexity. The cost of ClicData may also be an order of magnitude lower than Tableau for many configurations. Tableau, on the other hand, is best suited for specialist applications where its advanced visualizations can be employed. Data exploration is where Tableau wins out over ClicData. Both use an internal columnar database, although ClicData has a more advanced scripting language. ClicData is cloud-only, whereas Tableau can be used on-premises and also comes in a cloud edition, although it is less well developed than ClicData’s offering. ClicData caters for both simple and complex dashboard requirements and is well suited to the day-to-day needs of most businesses. For simple requirements users typically need do no more than drag and drop data sources and resulting graphics to form a dashboard. As requirements become more complex so it might be necessary to use the TSQL scripting language. Almost anything can be done using this language, including data transformations and complex functions. 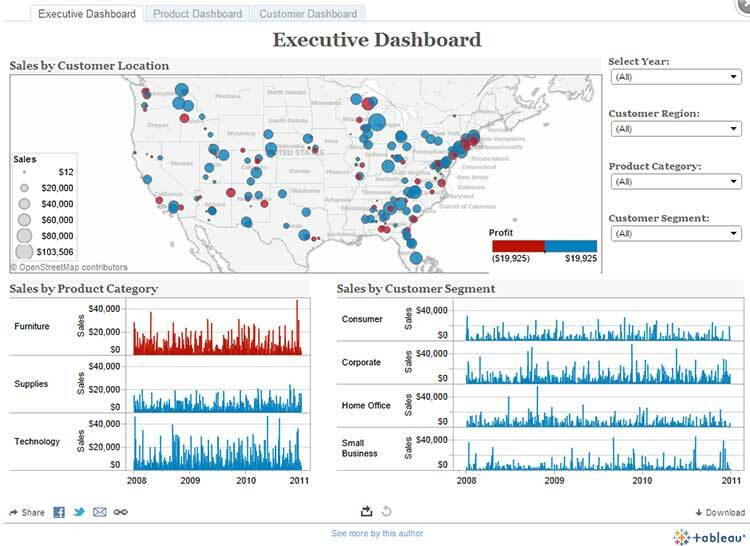 Tableau is also capable of creating complex dashboards, although many users might find it overkill. It is better suited to data exploration and discovery tasks where its sophisticated visuals can be exploited. Tableau also supports advanced analytics through R and python and has particularly good integrations with these. Again, this illustrates the difference between these two products. Tableau offers greater visualization and advanced analytics functionality, but ClicData is more suited to day-to-day business dashboard requirements. And there is also the cost: ClicData will typically cost a fraction of the cost of a similar Tableau configuration. As far as data handling is concerned – connectivity to data sources, merging data from multiple sources, the transformation of data, and so on, then both products are fairly similar, although ClicData possibly offers greater functionality through its scripting language. Both products support collaboration features, the publishing of dashboards and good mobile support. 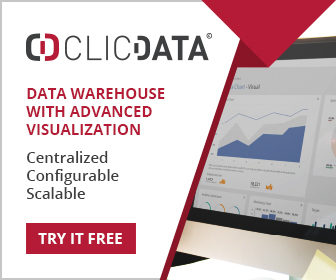 In summary, many businesses will find that ClicData satisfies their everyday dashboarding needs very well, and typically for a fraction of the cost of Tableau. Those organizations with particularly complex visualization needs may find a better fit in Tableau.